Robbi and Doug DeVries invited my husband and myself to the first release part of Robbi's wine---Tailwind Cellars, and Doug's Grumman Goose project. What a night it was. Bill Joe--- and the Dusty 45's were incredible. As was the food, the company and especially Robbi's wine. Women, click Here to register and join us for the flight of your life. Follow the link to events, United States, and Renton Airport. Doug's Grumman Goose project is well underway. I can't wait until she's complete! You can watch the progress here. It won't be long until she has wings to fly. Bunky was definitely flying the night away. Bunky may be lusting after the Goose above--- the Grumman, not me--- but he's going to bring his Stearman to Renton. Similar to Doug's below... but a 1920's version. We're going to have the most eclectic group of planes! The dilemma of the evening was how to get into this plane for a picture... in the dress. Yes... women pilots do have extra challenges. The 1942 Stearman that I'm lusting after was the star in the Great Circle Air Safari. Yes, there is a video! 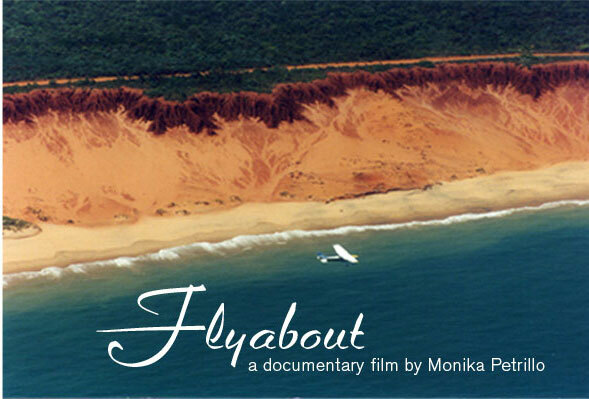 Click Here to purchase the journey of this incredible flight. Will I give a video away? Count on it. Austin and his lovely wife, Mary, joined us for the evening too. Planes, women, wine and music... Austin was in heaven. Look left, look right, look behind you... I think he found his dream. Austin will be flying his 172 on floats for our Renton Event ... unless of course he makes an offer that Doug can't refuse on the King Air. This gorgeous plane is for sale. Whoever buys her and flies her in the Renton March 13th event, I'll buy a tank of gas, and give you a free T-shirt, too. There are some offers that can't be beat. We had a wonderful time and met incredible people. Doug and Robbi--- Thank you both! 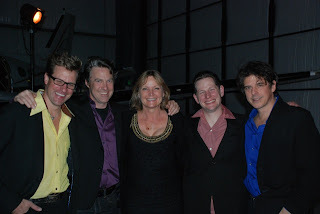 Mike, Craig, Kevin, Bunky, and Austin... looking forward to the photo shoot as you take to the sky no March 13th. Life is all about the journey. The best journey's are those that we learn something about ourselves in the process. 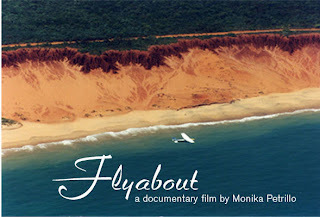 Monika's journey began the day she decided to get her pilot's license at the age of twenty-four. Quite often we follow in our parent's footsteps, but this time Monika's father followed in her's. A year after Monika got her license, her father, at fifty-eight, got his license too. Dad came to came to California, slept on her floor and flew during the day. 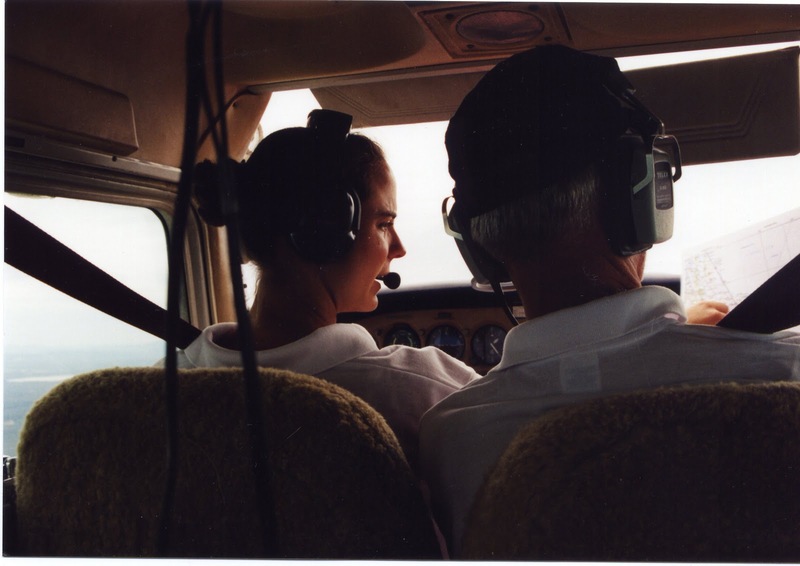 With family in the backseat, and Monika and Dad in the front, Monika faced more challenges than just flying the plane, bad weather, and unfamiliarity with the terrain. 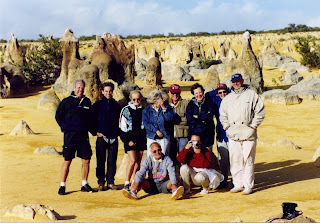 The switching of roles between father and daughter--- Who is in command?--- was as interesting as the gorgeous scenery of Australia. Well, almost. The views couldn't be beat. It won't be long until I take this trip myself. Monika told me that she and her dad "safely made it to the other side. But it wasn't easy." 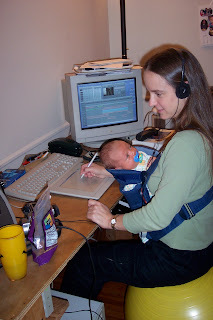 Now, eleven years later, Monika has two children of her own. Last year her six-year-old daughter realized that mom flies planes, and had been begging for mommy to take her flying. "They were VERY excited about the experience of flying in a small airplane over their own house, school and past the Hollywood sign. But they were probably most excited when I handed them their certificate and told them that they had just contributed to setting the "World Record of Most Women Introduced To Flying In A Single Day. When I asked them what their favorite part was about the flight, Lauren Galles said: "The landing!". My own daughter, Louisa Petrillo, smiled and said: "The moment when the plane went up and then down. That felt a little bit like being in a roller coaster." Monika's favorite part? "Finally being able to share my dream of flying with my daughter." Thank you Monika for sharing your story. I am giving away "2" of these movies in a drawing to be held on April 1st for "ANYONE" who leaves a comment. No April's Fools Joke--- An amazing video can be yours. Enjoy your Journey wherever it takes you! My plane is not certified for RNP—yet. But when it is, I’ll be ready to go. RNP (Required Navigation Performance) utilizes GPS (Global Positioning System), the aircraft FMS (Flight management system), and procedures that enable pilots to fly to lower minimums in areas of critical terrain or obstacles. How can RNP do this? RNP, unlike RNAV (Area Navigation/Radar Navigation) takes into consideration “containment” where the airplane proves it can fly tighter tolerances utilizing GPS, FMS and trained pilots, enabling us to use lower landing minimums. RNP in a quantitative value is .3 NM or less, and defines the accuracy limit of the approach. Containment is the protection limit, and is two times the RNP value. For example, with a .3 RNP value there can be no obstacles within .6NM of the course. Observing Actual Navigation Performance, ANP, is accomplished on the MCDU PROG page where we will monitor the aircraft's accuracy. A key term in the RNP world is the RF (Radius to Fix) leg. The significance of the RF leg mandates a prescribed ground track to be flown, where wind, true airspeed…etc., have no impact. "Special Aircraft and Aircrew Authorization Required." The aircraft must be certified. 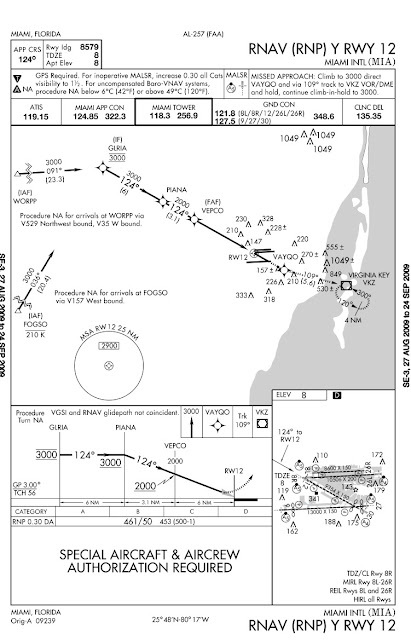 High/low temperature restrictions are to be adhered to and found on the Jeppesen briefing strip. See the above information: NA below 6 degrees C and above 59 degrees C.
Autopilot use is mandatory from the initial approach fix (RF leg) until visual reference with the landing runway. In the example above the RF leg begins at GLRIA. A maximum of 165 knots is required on the RF leg. Remember the A330 has groundspeed mini and could increase speeds above 165 knots, vigilance is necessary. Do not proceed direct to a fix that begins the RF leg. Excessive approach angles may take the aircraft beyond the containment airspace. Now the mystery--- I'm told there is not a Maltese cross on the RNP chart, and the FAF (Final Approach Fix) is identified by “GP Intcpt” on the profile view. However, I'm finding just the opposite information. In the example above, there is no Maltese cross but there is also not a "GP Intcpt" note. In the example below, I clearly see the cross over WIDGA. What gives? Does anyone have the answer? If you're certified for an RNP or have been trained to fly this type of approach, I would love to know the tricks. Or my friends in the tower--- do you have anything you could add to increase our knowledge of this type of approach? Thank you all. I am off to my first Women in Aviation Conference. Click HERE for conference details. And happy to say that Delta Air Lines is a proud sponsor of WAI, and donates scholarships annually. I hear that a couple of scholarship recipients actually fly for Delta Air Lines! I'm really looking forward to meeting them. Thank you Delta for your support! As you also know, I'm also highly involved with Women of Aviation Worldwidweek. We like to call WOAW! What is the difference between WAI and WOA? 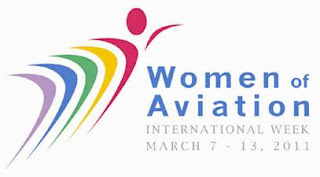 "Women in Aviation, International is a nonprofit 501(C)(3) organization dedicated to providing networking, education, mentoring and scholarship opportunities for women (and men) who are striving for challenging and fulfilling careers in the aviation and aerospace industries." 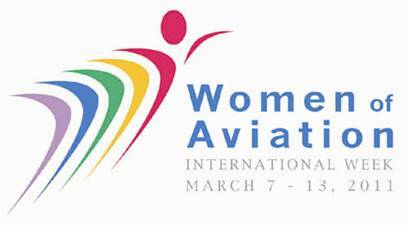 Women Of Aviation Worldwide is the support system of WAI. Women of Aviation is opening doors and exposing women to a world they otherwise wouldn't be part of. They're creating an excuse for women and girls to FLY---opening the door to the sky. 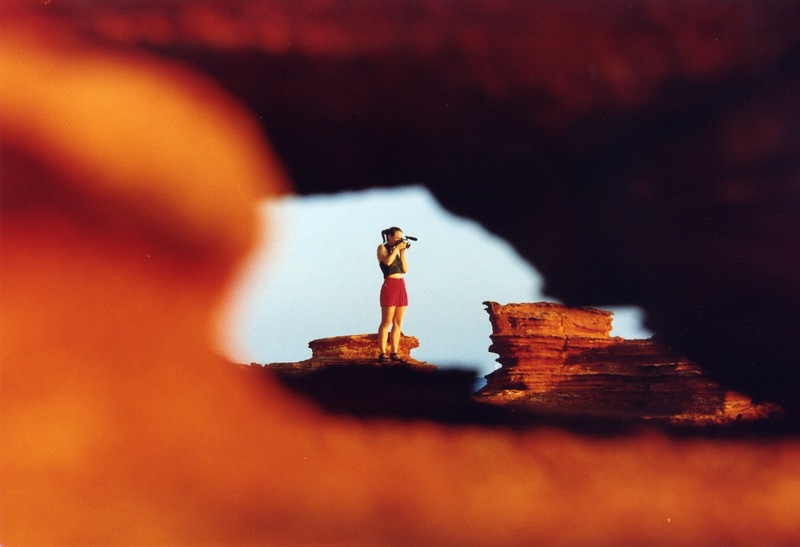 Last year Women of Aviation introduced a l,647 girls and women, in 29 countries on 4 continents to flying. WOAW for sure! The current worldwide female pilot population is estimated at 80,000, and with last year's numbers we introduced over 2% more. How many more this year? Thanks to the support of Pilots worldwide the sky is not the limit. Thanks to WAI those women have mentors, education opportunities, scholarship programs, and a place to network. Thanks to nintey-nines we have pilots supporting their local communities. I guess you could say, everyone involved in Women "OF" Aviation is not only recruiting future pilots and members for WAI, but for the ninety-nines too! Women of Aviation is recruiting future Private Pilots, Future Airline pilots, future Aviation Enthusiasts. Click Here to learn all about them. But who are "my" ninety-nines? The GREATER SEATTLE CHAPTER SOARS! See what we're doing at my local chapter. Click HERE. I am very excited to be part of this group! These women pilots are helping their communities. 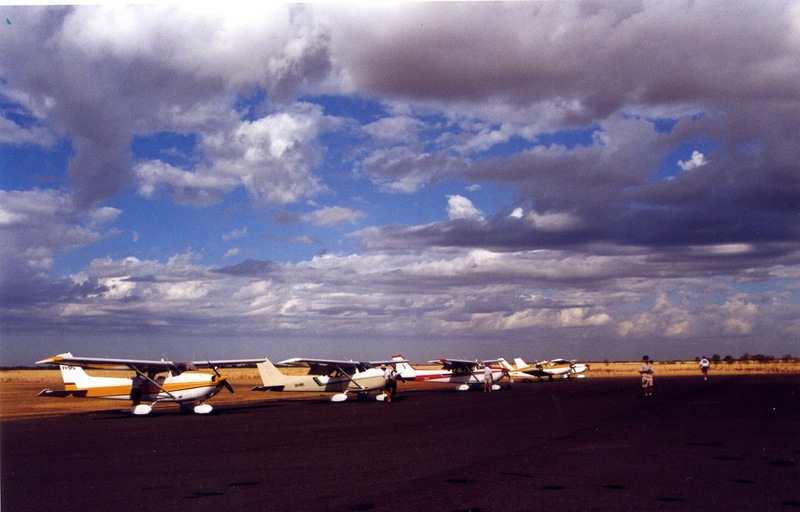 The same communities that support aviation. "Be it on the ground or in the sky, you too can fly!" Day two of studying for A330 recurrent, and just as advertised--- the answers for those limitation questions posted yesterday. 6. Takeoff and go-around not engaged below 100 feet AGL and at least 5 seconds after liftoff. 12. 40 knots while operating (50 if nose is in the wind) and 60 knots while open. 31. Before descending below 160 Feet AGL. 37. Moderate or greater rain, turbulence and standing water or slush on the runways. It's been 9-months since I joined the flight-line on the A330. What does this mean? It means that it's time to visit the schoolhouse for recurrent training. My nose is buried in the books to see how many facts I actually remember from initial ground school. I've created a study guide for limitations, that when printed can be folded in half. Questions on the front, answers on the back. If anyone wants them, leave me a message and I'll email it to you. 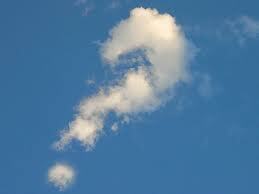 But for now... test your A300 general limitation knowledge. How many of these questions can you answer? 2. Maximum Takeoff and Landing Tailwind component? 3. Max demonstrated takeoff and landing crosswind component? 4. Turbulent Air penetration Speeds-300: Below FL200At or above FL200? 5. Turbulent Air penetration Speeds-200: Below FL200At or above FL200? 6. Minimum altitude and time limits for Autopilot use? 8. Max altitude for flaps and slats? 9. Max takeoff and Landing Altitude? 18. Do not use differential brakes at what speed? 29. Is it okay to use any ground air simultaneously with air from packs? 30. 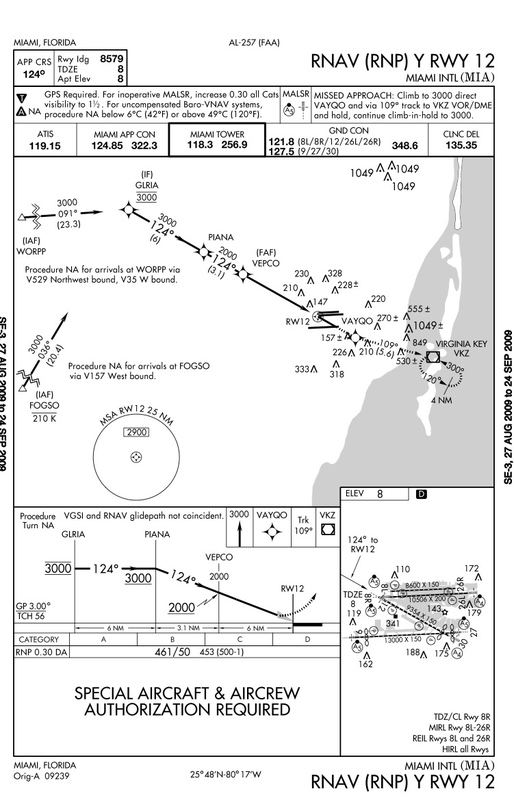 Non-ILS, disengage autopilot before what altitude? 37. Ignition must be on when? 41. No starter engagement with N2 RPM above what? 42. Max EGT for Takeoff and Go-around, limited to what time? 48. APU started and operated to what altitude? 52. 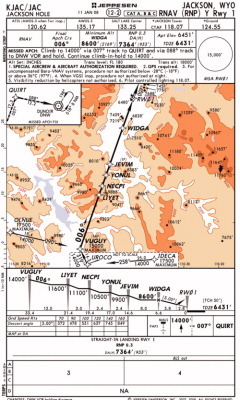 RVSM operations: Max difference between altimeter and field elevation. 53. Does the standby altimeter meet accuracy requirements for RVSM? 54. What latitudes does the IRS NOT provide magnetic heading info? 59. What is the condition before center tank fuel can be loaded? 60. When can the center tank have up to 3000 pounds of fuel without the mains full? Aviator glasses in place. Throttle in. Accelerate. Rotate. At nine-years old Chris Findley was hooked! Another pilot was released to the world, thanks to friends who opened the door to the sky. 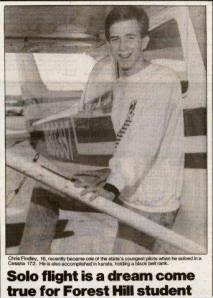 At fourteen Chris joined the Civil Air Patrol and when he was sixteen he took his firs solo flight. What did it feel like to solo? 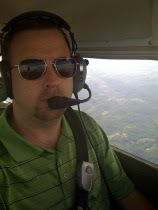 "Adrenaline pumping... heart racing... excitement..."
Chris earned his private license in Texas, and furthered his aviation education at Auburn University where he majored in Aviation Management. It was here where he earned his instrument, commercial, and flight instructor licenses. 5 years in the Army and he was free to return to his passion--- flight. When you love something as much as Chris loves flying you need to share it. 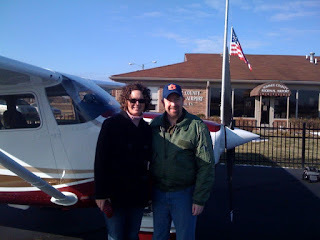 It wasn't long until Chris pulled that instructor license out of his pocket and began teaching at Gallatin-Sumner County Regional Airport north of Nashville. He's now teaching at Wings of Eagles School of Flight. Happily married to Sheryl for fifteen years in June, they are raising two kids -- Aidan (9) and Evan (6). 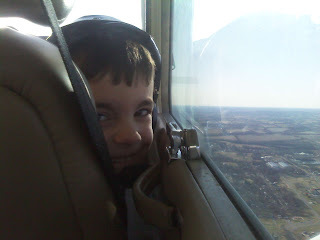 Evan loves to fly! Aidan isn't so wild about it, but he'll find his own passion. Chris also partakes in "Pinch Hitting" where he teaches non-flying partners of pilots the skills to know what to do in a "pinch." But when his wife's friend, Melissa, was afraid to fly, and her husband had just purchased a 172, Chris took her up to help overcome her anxiety. It worked! She may be taking more lessons. 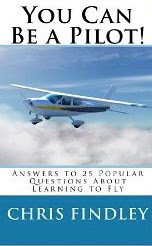 A secret about most general aviation instructors... most are on a mission to build hours. But when you can find an instructor like Chris, who is there because he love to teach, you've found yourself someone special. They're more than an instructor, they're a mentor. They have a passion for what they do, and will do anything they can to help you reach your goals. 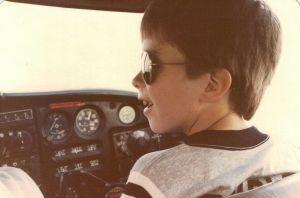 "I was nine years old when I first went flying. A friend of our family had an old and tired Piper Warrior. I don't remember much about the flight, other than being almost too small to see over the instrument panel. But I know that my love of flying began that day. That short flight was all it took for me to realize I loved the air. I loved the planes. I knew I wanted to be a pilot." Chris Findley, You Can Be a Pilot, pg. 17. Born a pilot, he became a pilot, he now teaches and inspires pilots. I recently finished Chris's book and I loved it. 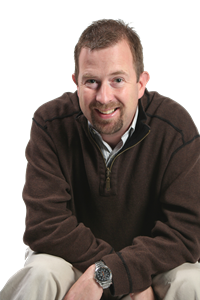 Not only does he provide a step by step outline of what you'll do during the journey to your license, but Chris provides links to "Sites of Interest" that I'll reference. Do you want a copy? Sign up to follow my blog and leave Chris a comment below. Tell him why you want to be a pilot--- you're entered. I'm giving a book away in a drawing, March 31st to one lucky winner. Chris is one of those outstanding people building pilots. He's making dreams come true one flight at a time. Thank you Chris for sharing your gift with the world, and for your generous donation! You can find Chris, and his book via the links below. Instruction. Charter. Sales. Services. And Supporting the future of Aviation. "Where will our future pilots come from?" The desire to become a pilot--- once a top of the list dream job--- is lost. Why? How can we change this current pattern and open the doors to the passion, excitement and opportunities that only flying can provide? GALVIN FLYING SERVICE has been a part of Boeing Field since 1930 thanks to Jim Galvin, Peter's uncle. Peter Anderson used to come to work with his uncle, hang out, and watch planes take off. Peter grew with the business and then he became the business. As the President of GALVIN FLYING, he's still watching planes. Today we watched the 787 depart out his office window. Peter just added his support to Women of Aviation Worldwide Week celebration. Sunday March 13th Renton Airport, the most Female Friendly Airport in the United States, is conducting another Free Flight event. (Please click HERE to register.) 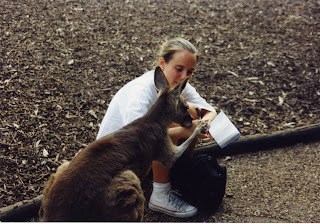 But we're also running an Essay Contest: "Why I want to Fly" All you need to do is tell me why why you want to fly in an essay or poem (maximum 500 words) in English. If you win the writing contest you'll recieve $100 USD towards your first flight lesson! You could take your first flight lesson before the end of March 2011. Peter Anderson and Galvin Flying are graciously donating 3 introductory flights! A great way to decided if flying is for you. This contest is opened to girls and women of all ages worldwide. Yes, I am a minority--- I love my airline job. But there is a whole other side to the world of aviation, beyond the airlines, in the charter arena. Fast planes. Red cars. Great men and women. What could be better than getting paid to do what you love? 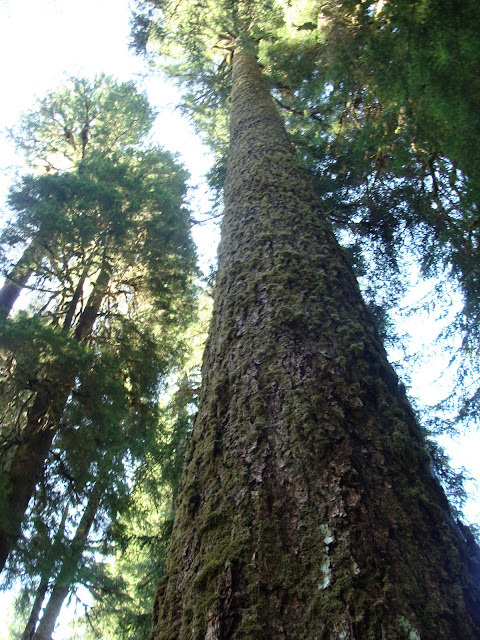 the stronger the wind, the stronger the trees." Remember, even a plane takes off into the wind.